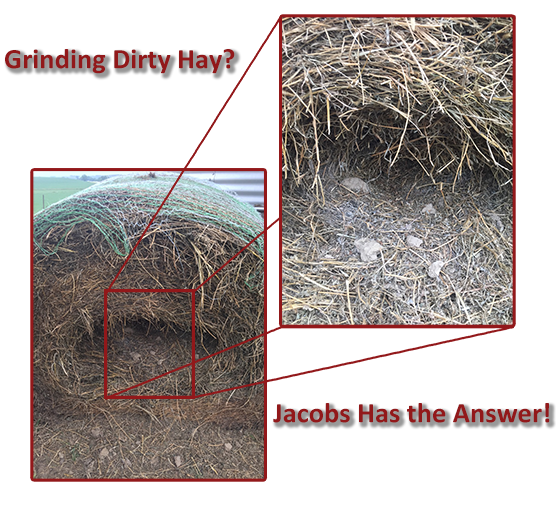 Jacobs provides swing hammer, rod, and screen replacements for any Hay Buster, Duratech, Jones, Mighty Giant, or any one of many other makes and models of tub grinders. The images below show our Blade2 hammer in one of our customers' tub grinder. He reported the hammers have been grinding for 185 hours and will likely reach 350 before needing replacement. Our Dagger hammer is built to last, designed for 100% clean-out and minimal rod wear. This hammer is a very economical solution to rod and hammer edge wear. 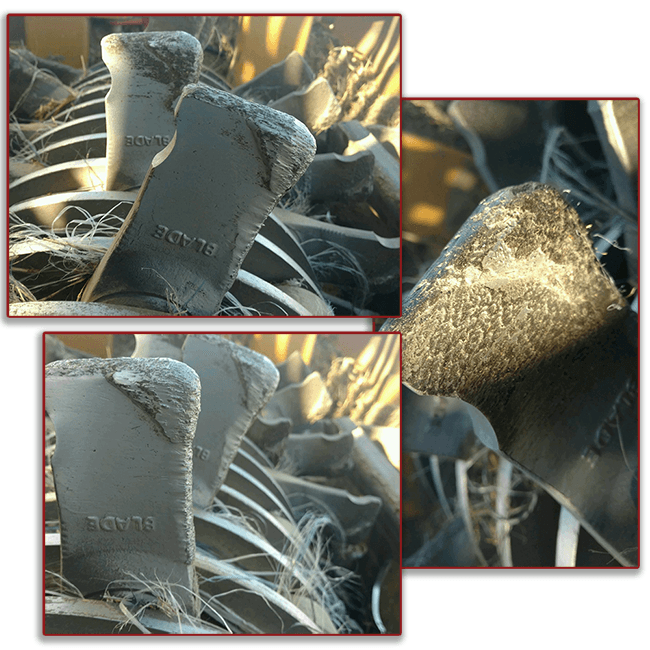 Our Blade2 hammer took all the concepts of the Dagger and improved them, starting with 200% more wear surface for crushing abrasive materials such as hay and corn, resulting in quick and effortless chopping. The Blade 2 also incorporates Jacobs Holeformance feature for 100% clean-out, perfect rod contact, and far fewer jammed hammers. And finally, our Bad Ax is the hammer built for the toughest of jobs. With hardfacing on all four edges, this two-hole hammer is built to obliterate even frozen hay with ease. If you want your hammers to last longer, produce more, and save you from more downtime and increased maintenance costs, call 1-800-831-2005, email us , or use our contact form today!